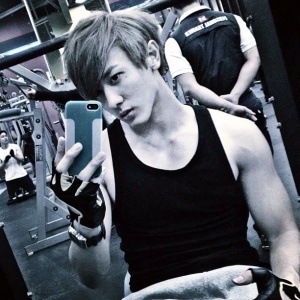 Natthew is a thai singer. He was in Academy Fantasia Season 5 and was the winner in that season. 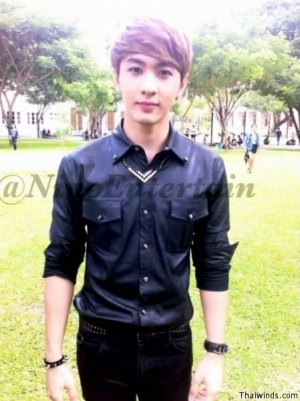 Natthew also went into acting and have act in a few drama. In 2012, Natthew have made his first Korean debut, in Korea he release his first single "She's Bad". Before Natthew Korean debut, he was also in "Dream Team", a Korean TV show a few years back. Natthew have sign with CJ E&M Music Asia's No.1 entertainment company. Natthew will perform in Korea for the first time on the November 15 2012 broadcast of Mnet′s M Countdown. B2ST′s Yong Jun Hyung will join him to help him out, following his appearance with Brave Girls′ Seo Ah in Natthew′s music video. in 2013, Natthew made his first Korean acting debut in a drama call Monstar air on tvN, Mnet, KM and Onstyle Channels. This page was last modified on 10 February 2019, at 11:59.